If you are looking for the sign up post, it’s right here. 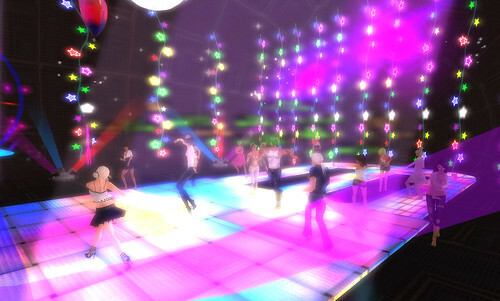 Just as a reminder, we have a big Hump Day party coming up on Wednesday at 7pm SLT. I know, I know, it’s really bad timing for some of the challengers that aren’t over here on my side of the world, but we’re going to try to get one going on the weekend at a better time for you guys. Okay, this topic was one that we touched on back in 2008, but I think it’s a great one, so here we go. 🙂 And remember, you can choose either one to write about, or squish them together, or you don’t need to write about this topic at all if you don’t want to. It’s just there if you need it. SL Bloggers – How hard do you think it is to find a relationship in SL? If you have an SL relationship, have you met in the physical world? Would you meet them? Do you think it would change your SL relationship if you met? RL Bloggers – Would you start a relationship with someone you met online? Would you have a problem telling people that’s where you met? Do you think it’s easier to meet someone online rather than at work or at a club? BBBC Topic for Friday – FINAL! Ready for the final one? 🙂 This is also semi-kinda what we did last year, but I couldn’t think of a better topic to do for this year’s challenge. If you’re a veteran…. Did you find this year to be harder or easier than last year? Did you enjoy yourself? Do you think you’d do it again?